We are a general dental office proud to serve Sudbury and the surrounding areas. We pride ourselves in taking care of all our patient's needs and make it our priority for all patients to feel as informed as possible with every procedure. 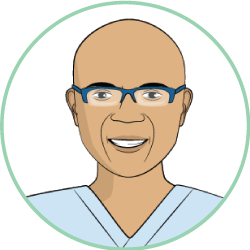 Dr. Alan Kwong Hing has many years of experience in the field of dental implants and he believes in the transformative effects of dental implants for patients from confidence to a healthier lifestyle. Our hygiene team makes smiling a pleasure and want patients to feel comfortable asking question about their oral health. They believe in preventative dentistry, their main goal being "keep the teeth you have"! Dr. Al graduated with his Doctor of Dental Surgery degree (with distinction) from the University of Western Ontario in 1989. He received the University Gold Medal and completed a concurrent Master's Degree in Pathology. Dr. Al has worked in dental offices in Ontario and Nova Soctia. He has recently enjoyed every second he has been with the office so far! He is passionate about providing all patients with dental treatment in the most relaxed method possible. He loves to explore the possibility of helping replace missing teeth and stabilizing loose dentures with Ceramic Implants. He is also excited to be introducing OrthoPulse a device that cuts orthodontic treatment time in half! Dr. Al is a passionate cyclist and you might even catch him cycling around Parry Sound. He also loves to travel, hot yoga and spending time with his wife Brenda and dog Koka. He has two daughters living abroad and is lucky he has an excuse to travel to the US and Germany to visit them.